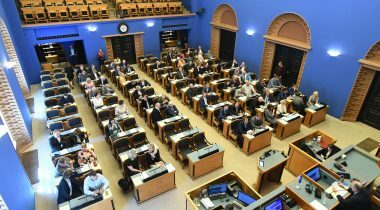 Today, a Bill passed the first reading in the Riigikogu which aims to allow for additional remuneration of on-call time for judges. The explanatory memorandum states that the aim of additional remuneration of on-call time is to ensure smooth administration of justice also outside of working hours in situations where provided for by law, taking into account that the judges’ salary system must be in accordance with the heightened occupational requirements and restrictions for judges and foster a lasting and high-quality service relationship. The current regulation does not allow for payment of additional remuneration to a judge when the judge must perform urgent procedural acts provided for in the Codes concerning procedures, or be available for the performance thereof (i.e. be on call) on public holidays and weekends. The on-call time of a judge is not covered by the judge’s salary. The purpose of the Bill on Amendments to the Government of the Republic Act and Other Acts (merger of the Environmental Board and the Environmental Inspectorate) (710 SE), initiated by the Government, is to merge the Environmental Board and the Environmental Inspectorate, two governmental authorities in the area of administration of the Ministry of Environment. The aim of the merger of the authorities is to enhance the implementation of the strategic tasks of the state in the environment sector, to use the existing resources more efficiently and effectively, to offer high-quality public services and to also meet the expectations of society in a longer perspective. The agency to be established will be performing all the current main functions of the two agencies. The name of the merged agency will be the Environmental Board. During the debate, Peeter Ernits, Jürgen Ligi from the Reform Party Faction and Andres Herkel from the Free Party Faction took the floor. The Reform Party Faction moved to suspend the second reading of the Bill. The Free Party Faction also supported the motion. 30 members of the Riigikogu voted in favour of the motion and 38 were against. The motion was not supported and thus the second reading of the Bill was concluded. The Bill on Amendments to the Police and Border Guard Act and Amendments to Other Associated Acts (673 SE), initiated by the Government, will organise and amend the provisions concerning the transfer and processing of passenger name record data. The aim is to bring the Acts into conformity with the relevant EU Directive on the use of passenger name record (PNR) data for the prevention, detection, investigation and prosecution of terrorist offences and serious crime. The deadline for the transposition of the directive was 25 May 2018. The amendments will specify the provisions concerning the processing of data in databases and the transfer of information to other authorities, and bring the data retention periods into conformity with the requirements arising from the directive. The aim of collecting passenger name record (PNR) data is prevention and detection of terrorist offences and serious crime. In the countries where the processing of PNR data is used already, it has helped catch several criminals operating internationally. In 2018, all 28 Member States will adopt the PNR data system in the European Union. The system is also used for example in the USA, Canada, Australia, New Zealand and Mexico. The adoption of the PNR data system will involve no changes for passengers. Under the Bill on Amendments to the Riigikogu Rules of Procedure and Internal Rules Act and the Constitutional Review Court Procedure Act (762 SE), initiated by the Constitutional Committee, the appointment of members of the select committees, the committees of investigation and the study committees, in addition to those of the standing committees, and the approval of changes thereto will fall within the competence of the Board of the Riigikogu. In addition, the work arrangements of the plenary assembly will be made more flexible. While up to now, the principle applied that replies to interpellations were scheduled only for Monday’s sittings, and the readings of draft legislation were scheduled for sittings on Tuesday, Wednesday and Thursday, the Bill will allow for replies to interpellations and readings of draft legislation on all sitting days. A time restriction will be imposed on Monday’s sitting. The regulation of the deliberation of the motion to express no confidence in the Government of the Republic, the Prime Minister or any other minister will be specified. Amendments concerning the rules of legislative drafting will also be made. 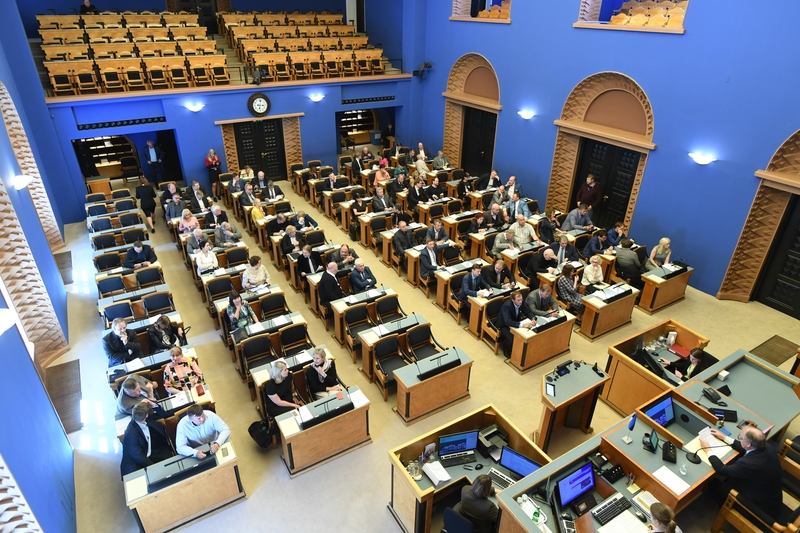 The aim of the Bill is to reduce bureaucracy in the organisation of the work of the Riigikogu and to make work processes quicker and more flexible. During the debate, Jürgen Ligi from the Reform Party Faction, Jüri Adams from the Free Party Faction and Eiki Nestor from the Social Democratic Party Faction took the floor. The Personal Data Protection Act Implementation Bill (778 SE), initiated by the Constitutional Committee, provides for the implementation of the European Union General Data Protection Regulation and the Law Enforcement Directive in various legal areas. The Bill provides for the precise purposes of and bases for personal data processing, and the permitted scope of personal data processing. The Bill will amend 126 Acts. As of 25 May 2018, the General Data Protection Regulation is in force in the European Union, and relevant amendments will have to be introduced into the Estonian Acts to implement it and the Law Enforcement Directive. The Personal Data Protection Act in conjunction with the General Data Protection Regulation are too general to ensure correct adherence to the principle of legal basis. The Bill (650 SE) with similar content was not supported at the third reading in the Riigikogu in connection with the fact that during the proceedings, after the conclusion of the second reading, a doubt had arisen that some amendments proposed to the Imprisonment Act by the Bill could provide the possibility to infringe the fundamental rights of persons excessively. This fact is taken into account in the Bill accepted for legislative proceedings. The Bill will update the regulations concerning databases – the purposes of processing of personal data and the compositions of data will be amended, and the period of preservation of data will also be limited. The establishment of the statutes of databases has been transferred from the Government level to the competence of ministers where possible. Verbatim record of the sitting (in Estonian) http://stenogrammid.riigikogu.ee/en/201812181000.